HUGH PATTERSON grew up in Vancouver, British Columbia exploring the BC coast on his family boat. He continues to explore the west coast by sailboat, spending weeks each summer sailing in the Straight of Georgia and beyond. While attending university, Hugh was actively involved in the development of the world renowned mountain biking trails of Vancouver’s North Shore Mountains. His trail-building work and riding appeared in numerous international magazines and videos. For the past 4 years, Hugh acted as the director of Trips for Kids Vancouver, a not-for-profit organization dedicated to mountain biking trips for low-income and inner city youth. Hundreds of youths from all over the city have been able to experience the outdoors on a bicycle through the efforts of the organization. As a Mechanical Designer and Design for Environment specialist for Nokia, Hugh works with engineers and suppliers to implement more sustainable design and minimize life-cycle impact of mobile phones. RYAN ROBERTSON grew up exploring the craggy coastline of South Africa’s Eastern Cape. It was here that his passion for surfing and ocean conservation was born. After moving to Canada with his family, Ryan began surfing the frigid waters of BC while finishing a degree in Mechanical Engineering at the University of Victoria. Combining his education with his commitment to sustainability, Ryan has pursed a career in renewable energy, including work in the fuel cell, wind, wave and tidal energy industries. Ryan has spent the latter part of his career in the electric power industry, with a focus on sustainable energy conservation technologies. 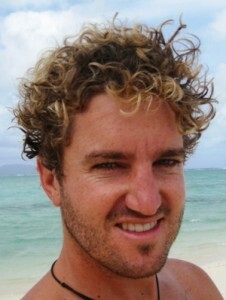 Ryan was a participant in the 2006 Vic Maui Sailing Race and it was during this race that Ryan experienced first hand, the sheer magnitude of garbage afloat in the Pacific Ocean. As a director of Black Ice Technologies Inc., Ryan has been involved in the design of marine electronics aimed to reduce the quantities of raw human effluent dumped into our oceans. Ryan holds an advanced scuba certification, is a member of the Surfrider foundation and the Canadian Institute of Marine Engineers. 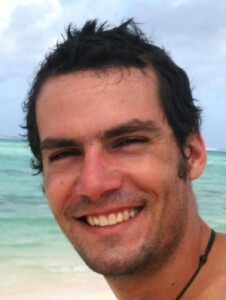 BRYSON ROBERTSON originates from South Africa, but has called BC home for the past 13 years. Growing up with the Indian Ocean out his front door, Bryson spent his formative years surfing and exploring the Wild Coast of South Africa. Moving to Canada in 1996, Bryson traded his board shorts for a 5mm wetsuit and has since logged thousands of hours exploring, surfing and paddling the incredible coastline of BC. Bryson current serves as the Senior Research Engineer with the West Coast Wave Initiative at UVic; where he investigates the wave energy resource off the West Coast of Canada to allow for the production and integration of sustainable wave power from Wave Energy Converters into the BC electrical grid. Bryson completed a PhD in Coastal and Environmental Engineering in conjunction with both Queens University and the University of Guelph. He is committed to helping develop technological and social innovations to our current environmental energy and marine debris complexities. He worked extensively on the first tidal power generating system on the west coast of North America, spent time as an engineer in the fuel cell industry, and advises numerous non-profit marine debris research and collection organizations. 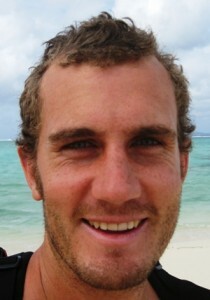 Before OceanGybe, Bryson’s passion for nature and adventure led him (his bike, his climbing shoes, and his surfboard), all over the world, from Mozambique to Morocco, and El Salvador to New Zealand. When not in Victoria working, he spends his time outdoors. He is an active member of the Surfrider Foundation and can often be found helping pick up debris from beaches all over Vancouver Island.